Go to Farmer’s Markets often: CHECK! I’m not really the camping type. I require a shower immediately upon waking up, I like to be able to flip a switch and have hot coffee and I don’t really like bugs. Fortunately, I use the term “camping” very liberally when describing my upcoming trip. I’m only camping in so far as I’m sleeping in a tent. I will be a hop, skip and a jump away from running water, a coffee shop and an entire amusement/water park. So I’m actually pretty excited it! This magical place is two hours, 115 miles and a whole world away from Sweet Home Chicago in Monticello, IN: the home of the classy Indiana Beach. 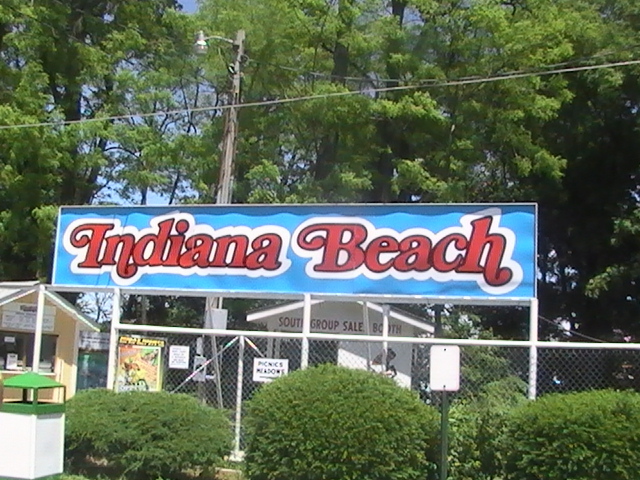 This will be my second trip to Indiana Beach, but my boyfriend and his friends go every year. Before the trip last year, I was nervous. I had heard all the crazy stories, but all I knew for sure was that I had a custom-made jersey, screen printed in neon, with my name on it that I was actually encouraged to wear in public. They sell bagels at the coffee shop. Eat them. Don’t touch anything in the showers. In fact, unless you’re an OCD shower-taker like me, I’d suggest avoiding the showers entirely. Make friends with your neighbors. They might give you meat. Even knowing all that, I still only feel slightly more prepared for the adventure this year compared to last year. I do know, though, that I couldn’t be more excited! If you don’t have a memorable St. Patrick’s Day, it’s your own fault. Check out my list of festive things to do for this Irish Holiday! Next Saturday is St. Patrick’s day, but as a good Illinois alumnus, I know that St. Patrick’s Day need not be celebrated exclusively on March 17. 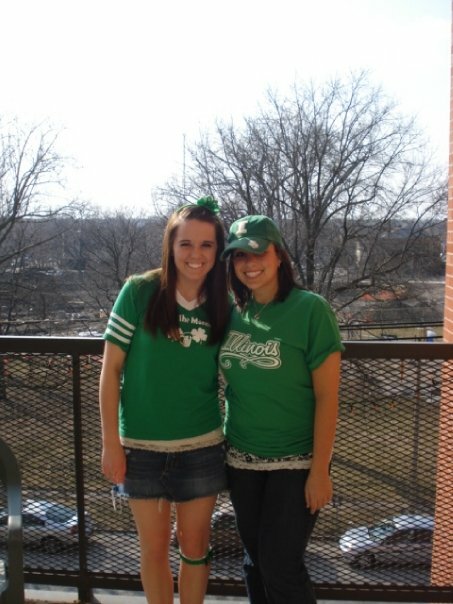 During my college days, I was part of the Illinois tradition of UnOfficial, which means that I got to celebrate St. Patrick’s Day twice, for four years! Awesome? I know. Unfortunately, those days are over and starting a Friday at 6 A.M. with a beer is no longer an option with this thing called a job. However, that does not mean that I can’t celebrate this holiday twice, anyway! Since I kissed Champaign goodbye, I’ve made Chicago my new home. Lucky for me, Chicago knows how to celebrate St. Patty’s Day pretty darn well. Turns out there are a lot of Irish people here or something? So I wanted to share with you some of Chicago’s festivities, so you can make the most of the holiday as well! I’ve split up the festivities by turf, and conveniently, by weekend. This week: the South Side. Be sure to check back next Friday for North Side activities! 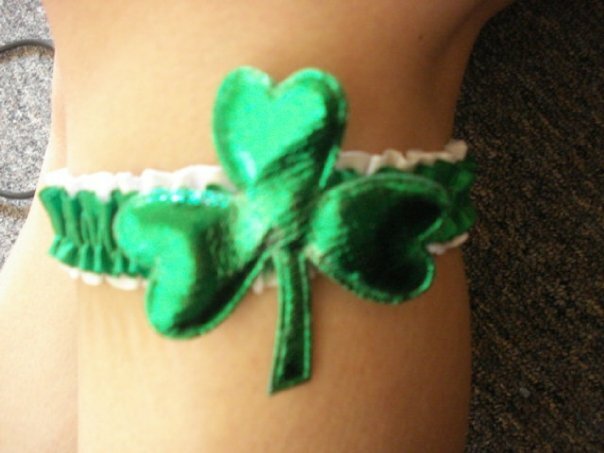 This weekend, I’ll be staying on my side town and heading down to the South Side Irish St. Patricks Day Parade. I remember going with my dad and brother to the St. Patrick’s Day parade in Springfield, IL, when I was a kid. I remember being amazed by the level of enthusiasm and spirit that surrounded me. It was exactly at that moment that I realized that St. Patrick’s Day was right up my ally. I always loved an excuse to dress up in bright colors with sparkly face paint and lots of necklaces, so I knew I’d fit right in. So when I found out how epic the South Side Irish parade is supposed to be, I just knew I had to be there! The South Side Irish parade was shut down in 2009 because it became too much for the neighborhood to handle. This year is the first year that it will return to the streets to represent all of its Irish pride! I’m excited to be a part of its return! Let me know if you’ll be there, and we can celebrate together! When: Sunday, March 11, 2012 at 11:00 a.m. Happy early St. Patrick’s Day!